Tonight, I ordered the Book of Shandler on Amazon. It should be here by early next week. When I was younger, I used to buy a fantasy magazine or two just as a rite of passage. To remind me of the things I already knew. 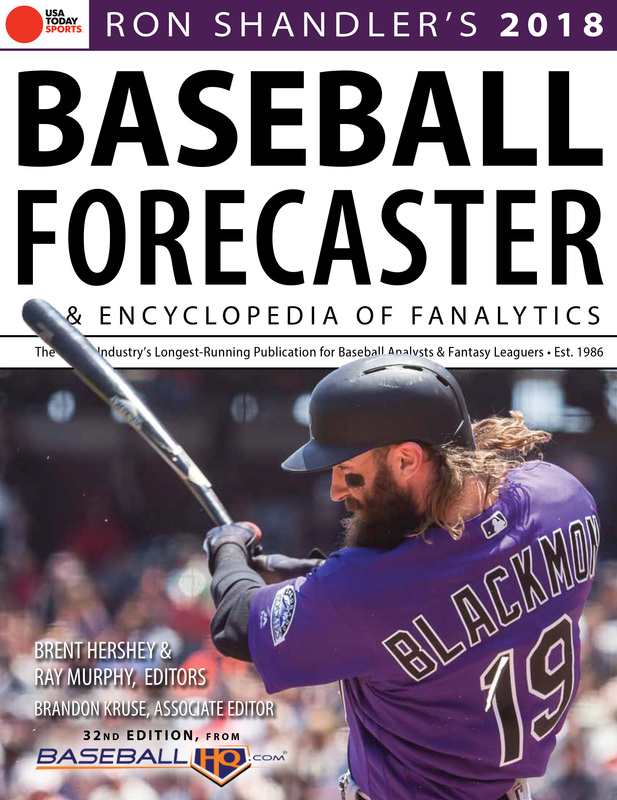 To ‘prepare’ for fantasy baseball season, even though a lot of the stuff in the magazine didn’t cause me to deviate much from my original plan or feeling on guys anyway. Shandler really has eliminated that need. He’s the gospel and I trust his take on many players and the game in general. It’s a little more expensive than just buying a Street & Smith off the shelf at Barnes & Noble, but it gets a lot more mileage than simple toilet reading. Plus as the years roll onward, it’s nice to kind of pile them up on my bookshelf as a record of the years gone by in fantasy. I’m excited to get this year’s version. I may even post a couple player entries. It’s interesting that the cover photo of this year’s cover boy Homeless Charlie Blackmon has him getting sawed off.